Eating in New York can get expensive. That is, unless you're a Yelp and Instagram celebrity with the good fortune to also be an adorable two-year-old. 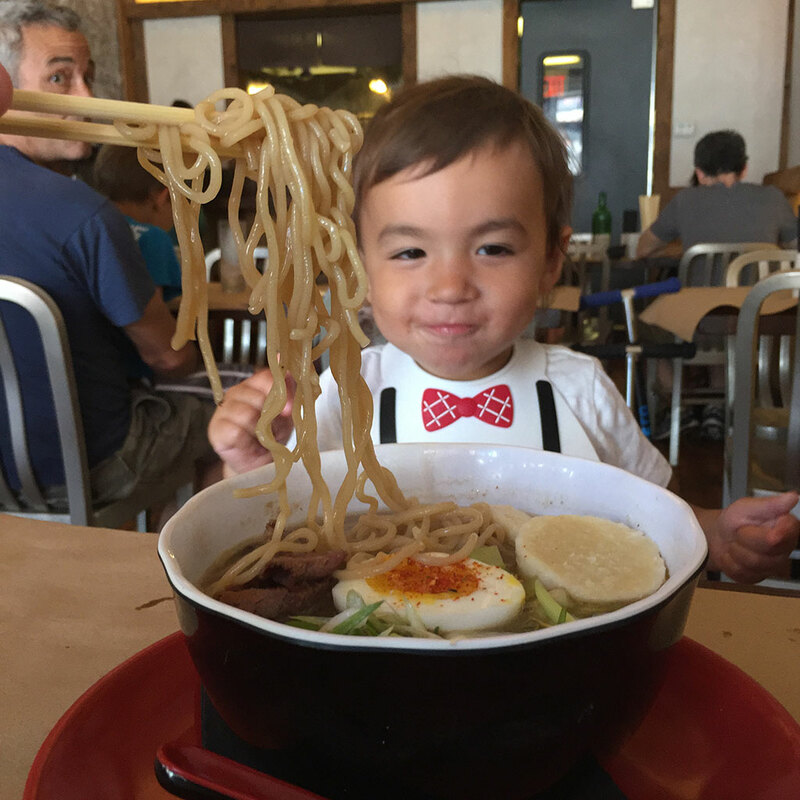 Mike Chau's photographs of his son Matthew at restaurants around the city have earned him 51, 800 Instagram followers (@foodbabyny) and 5,000 Yelp friends (that’s the point at which Yelp caps it). This combination of cuteness and renown earns Matthew and Mike free meals all over the city. The project started in response to people's comments that Chau and his wife Alex would no longer be able to go out once their baby was born. Thinking this was unreasonable, they began taking Matthew to restaurants when he was as young as two months old. Chau took the first photo for the account in 2013, when Matthew incidentally appeared in a shot of sushi that he posted in a Yelp review. Since then, he has put up almost three thousand photos. Some places go so far as to straight up court the family. Paul Kim, owner of Chinatown experimental ice cream shop Ice & Vice, told Cosmo, "We tagged [foodbabynyc] in photos and teased him to come in. When he finally did, we were hitting each other. 'Oh my god, Food Baby came!' It was a great feeling." Not every meal the family posts is free, but they certainly save a lot. When not posting adorable photos, Mike works as a full-time software developer at Goldman Sachs, where they also love @foodbabyny, because Chau often shows up with free food.